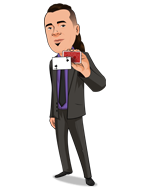 Today, when you order "Bounce No Bounce PRO presented by Dan Harlan", you'll instantly be emailed a Penguin Magic gift certificate. You can spend it on anything you like at Penguin, just like cash. Just complete your order as normal, and within seconds you'll get an email with your gift certificate. 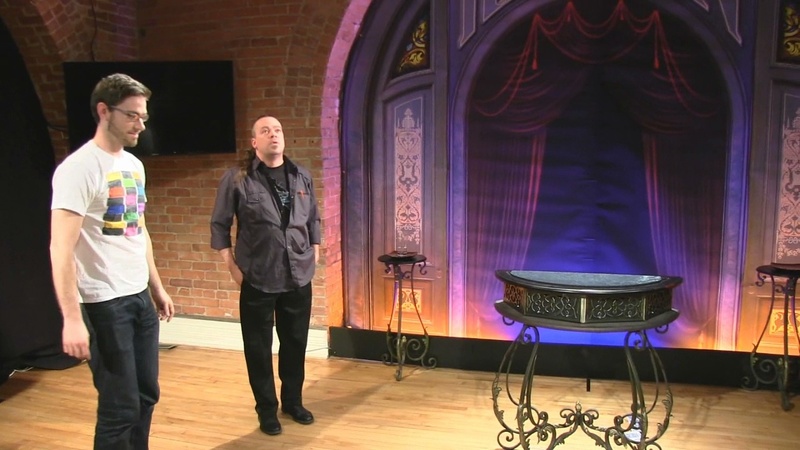 Bounce No Bounce PRO presented by Dan Harlan (2 SETS OF BALLS) A trick so good, you can do it anywhere from a bar to a family show. Now, even on the largest stage. INTRO PRICE ENDS AT MIDNIGHT. START LEARNING INSTANTLY AND SAVE. THIS PRO SET INCLUDES 2 BEAUTIFUL SETS OF 1.5" BALLS. LEAVE ONE IN YOUR CASE AS A BACKUP, OR LET YOUR IMAGINATION RUN WILD, TRANSFERRING "BOUNCE" FROM ONE TO THE OTHER. DAN TEACHES STEP BY STEP HOW TO CUSTOMIZE YOUR SETS TO ANY COLOR. "Dan Harlan has turned a cute trick into a show stopper." Included are 2 presentations, and Dan's pro tips on making this the most beautiful set of balls you own. 1. The classic presentation, where it's all about how much an audience member "believes" in the physical properties of the ball. A crowd pleaser, and a standard in many professionals' acts. 2. Dan's reputation making stage presentation "Bouncing for Bucks". A hilarious game-show presentation that involves luck, gambling, and putting big money at stake. This was a real disappointment and I expected more of Dan Harlan. It really feels though with all the content he is working on (i.e. all the routines for the Tarbell series) that he just came up with this one overnight and rushed it out. The stage routine is really boring and not what I expected from Dan. The audience participants look really bored and not very engaged, I do not think they smile once. And at the end, neither the audience nor the participants really seem very entertained. It really falls flat. I was hoping that a close up routine would also be included, but unfortunately not. The original Daryl routine is far superior and far more entertaining. This just made we want to purchase that one instead. The balls themselves are of very high quality and I do like the colour over the original black balls. But, the catch there is that it will be very hard to find a similar colour material to do the Daryl routine with these. You would basically need to re-colour these black to get a good match. Overall, very overpriced for such a poor routine. The routines are fine and certainly well-taught and the balls look great but they're not exactly bounce/no bounce. They're more bounce/some bounce. In the past I've only used the smaller size. Those seem more "dead." It's possible that this extra little bounce in the "no bounce" ball is common in the larger diameter balls but, for me, it kind of ruins the effect. I'm sure this bounce can be covered presentationally but not with the presentation I use. I was hoping to move my close-up routine to the stage and get some advanced handling tips to boot. All I ended up doing was blowing forty bucks. If you're starting from scratch and like the effects you see on the trailer video then maybe you'll have a different experience. Dan Harlan is a good performer and a good teacher. I'm not knocking him, just pointing out something I wish I'd known before I spent the money. 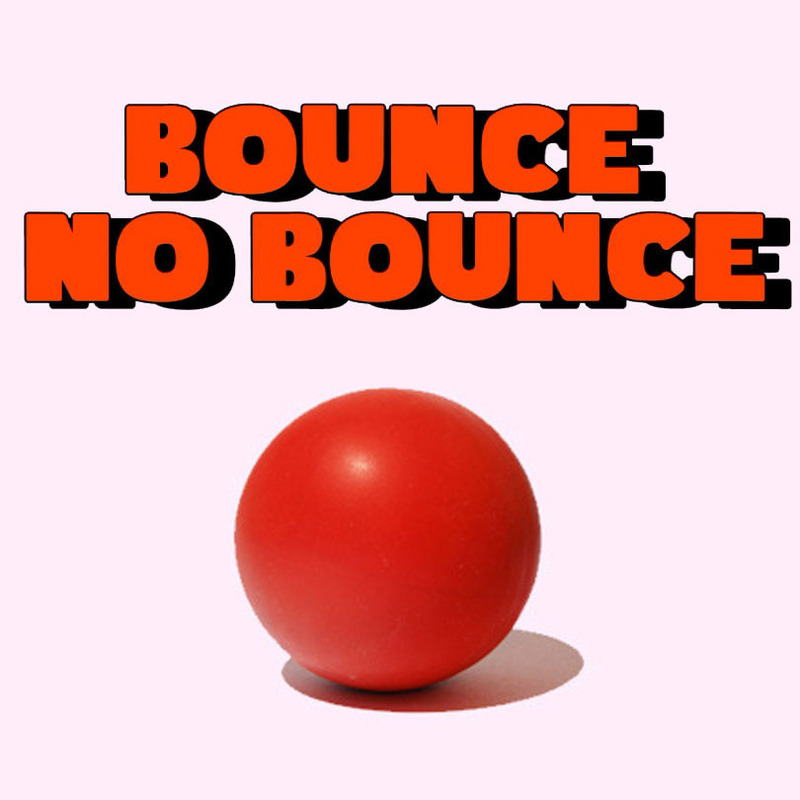 I've used various bounce / no bounce props for decades, and honestly can't think of anything else that's more effective (maybe 'as' but not 'more') in creating a fun and unexplainable experience for a person or crowd. I've absolutely floored people with it, time and time again. Though Dan's routine may not suit you personally (I think it's excellent, btw. ), there's a ton of literature on the subject to explore and build your own routine from. And, like I do, a routine really isn't necessary. I just lean somewhere and bounce it various ways until someone mentions it. I tell them it's an old superball I got when I was a kid and always loved it. I hand the no-bounce ball to them and when it plunks onto the table, floor, etc., I look at it and say "You broke it!" pick it up and plunk it a couple of times, look lightly irritated at him/her and put it away. There's a sense of logic that absolutely stuns them. They know it's a superball, so how could it break? Yet, it did! Get the picture? From the video this set seems to be well made and it's a very reasonable price for what it is and how much fun you'll have it. 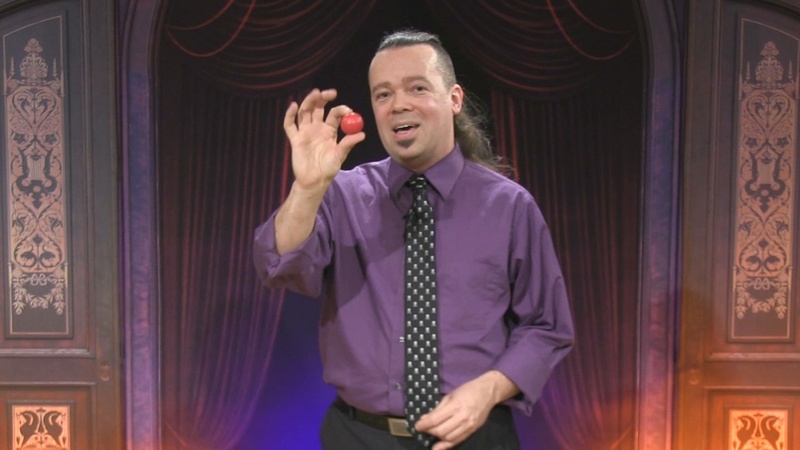 Every magician needs a good set of bounce / no bounce balls. Just wanted to put in my 10 cents worth. I have found this trick the most useless piece of magic that I have purchased from penguin. Large props.Low on the excitement scale. Dan Harlan is a great presenter, but this is not his best. I really am a fan of Dan but this one did not really work out he tried but it did not turn out well. 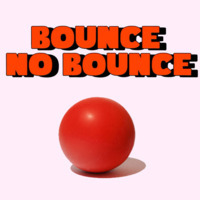 Not a routine I would perform and way way way over priced if you want bounce no bounce ball you can get them for less than $10 somewhere else just search it on the internet. Good try though! I've been hoping someone would get around to making a larger, more colorful ball to be seen from the stage and now they have! Well made and work perfectly. Dan's take is fantastic and there are a million tweaks you could make to be very individual on this. I had previously given this 2 stars, because the instructions said the product came not as shown in the video (Instructions said they were black, and had to be colored). Product was actually red, and works like a charm for a nice gag bit in a show. I just watched the instructions, and despite the product being depicted as red, they actually come black. The first section of the tutorial is how to recolor them to be red (or whatever color). This requires an additional $15 or $20 dollars worth of stuff. I got these in an open box deal for $20, and I think that’s close to what they are worth. A set of smaller ones from a science shop I use are around $8 for one set, and the ones I have bought before have had a wooden ball. I like that these have a similar texture. I actually didn’t buy this for a magic prop. I didn’t think the routines were terrible, but I probably wouldn’t use them. The no bounce ball has just enough bounce to make me nervous about my $100 :p. I actually bought these for a science unit I am teaching, and they will work great for that.